4 Audrey Hepburn Looks Get A Modern Makeover — Because Who Better To Channel This Spring? Even though it's been over 20 years since her passing, there are few people in this world untouched by Audrey Hepburn's style. The fashion icon is just as relevant today as she was when she dazzled hearts with her dancing, singing, and acting chops, after all. Her legacy is definitely one that's not forgotten — especially in the fashion world. Of course many of us know her from her time on the big screen, but she was just as influential outside of the movie theaters with style and grace, both of which are undoubtedly incomparable. The muse of Givenchy, Audrey Kathleen Ruston was fluent in five languages, she was quite the humanitarian, and she won an Emmy, Grammy, Oscar, and Tony during her career. My, what a life she lived. In addition to fun facts about her life, her style was unmatched, as she carried herself with such grace in the most minimalist of looks that have inspired photo shoots and even advertising campaigns at Gap. So, it only makes sense to celebrate her style, time and time again. While most know her for her cropped black pants, floor-length ball gowns, and the like, these looks show that Hepburn had some versatility in style. Here's how to put a modern twist on them that will usher you right from spring to summer. Hepburn opted for what appears to be a matching shirt and wrap skirt look. Swap the skirt for a graphic one and a baseball cap instead of a straw hat. Her high-waisted black pants are almost synonymous with her name. Give them a boost by opting for a pair of high-waisted culottes and slide-on sneakers instead of ballet flats. 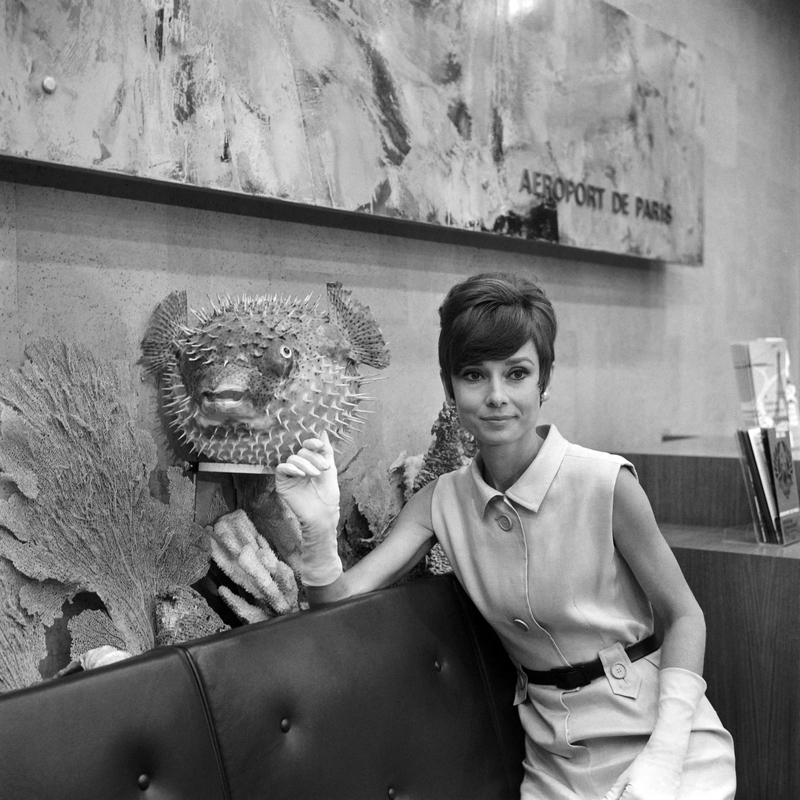 Switch out Hepburn's printed shift dress, for a lace, collared dress. Keep the look monotone, but opt for a surprise of color with your bag or shoes. This look definitely requires a smile. Instead of an A line skirt, go for an asymmetrical one. Pair it with a fun baseball cap and tie-up shirt for a look perfect for shopping, dancing, or just simply laughter.